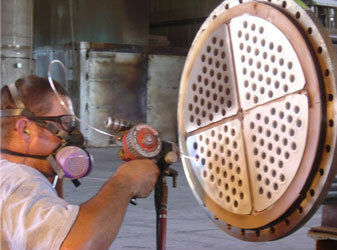 Corrosion resistant alloys can be spray applied using combustion thermal spray method. 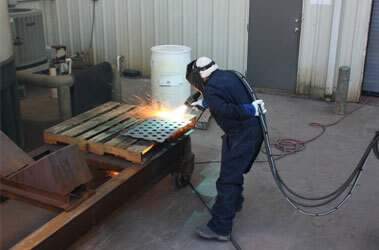 Curran uses gas acetylene and electric arc methods of spraying alloy wires; both can be utilized in the field to apply coatings to in-service fixed equipment. Electric arc method facilitates greater production rates and a denser coating deposition. Gas acetylene rig allows for more portable applications and coating touch up in-situ. Curran has experience applying a range of alloys and meeting the end client coating specifications using Aluminum, Stainless Steel, Nickel/Chrome/Moly alloys, Zinc/Aluminum alloy, and surface hardening materials. Contact Curran International to speak about thermal spray alloy applications and project requirements.